When God gives a person a vision and a calling, He is faithful to provide everything they need to fulfill it. Pastor Stephen in India knows this well as he's witnessing God's faithfulness 10 years after first receiving the burden to run a Christian camp in his region of India. Ten years ago, Pastor Stephen knew that the Lord wanted him to build a Christian camp in his region of India where souls could encounter Jesus. At that time, there was no building, no land, and no money to buy them. But, he and his wife ventured out by faith to search for land. They did find property and the Lord even provided the funds for it, but as they tried to develop the property, they found out that other nearby landowners were building houses around it and building a village there. It would not be a suitable place for a Christian camp that is meant to be serene and secluded. They had to sell the land and begin again. 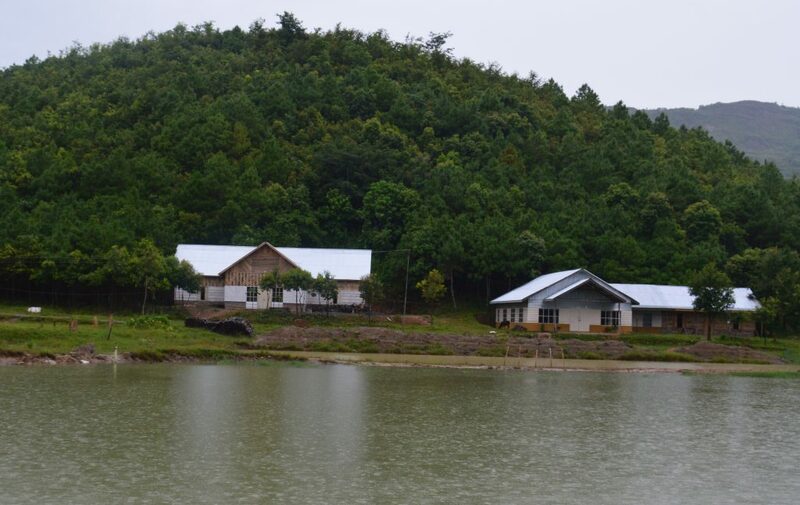 After waiting upon God for five years, He finally gave Pastor Stephen, his wife, and those involved in their camp ministry a piece of property with a hill and a lake. He removed obstacles one by one and today they own the 30 acres of land for the campground they've named Engedi. The young people who attend camps love the hill and the lake. There is a stream running on the edge of the hill and into the lake. There are pine trees. In India, this is a rare gem! The location and its scenery is ideal for camping, picnics, and for outings. No one is bored at Engedi! The Lord has blessed the camp and retreat ministry with two halls, two cottages, and a prayer cabin. This is a picture of the two halls at camp. The prayer cabin is pictured above. They are building a kitchen and dining hall that will seat about 500 people! Engedi is already a busy place. They run summer and winter camps for the children and young people. A good number of them hear about Jesus at camp and trust Him with their salvation! Others are reminded of God's promises and many rededicate their lives to God on the grounds. Pastor Stephen is a visionary ministry leader and he doesn't limit his prayers to what he can imagine! He and his wife and ministry team are praying that God would provide the funding to build a hilltop chapel, swimming pool, camp bus, motor boat, and soccer field. Their hope, prayer, and dream is to serve 500 churches in their area and 10,000 people each year. Praise God for His faithfulness so far and for Him to move in mighty ways in the future!